Persian Carpets: the Nation As a Transnational Commodity tracks the Persian carpet as an exotic and mythological object, as a commodity, and as an image from mid-nineteenth-century England to contemporary Iran and the Iranian diaspora. Following the journey of this single object, the book brings issues of labor into conversation with the politics of aesthetics. 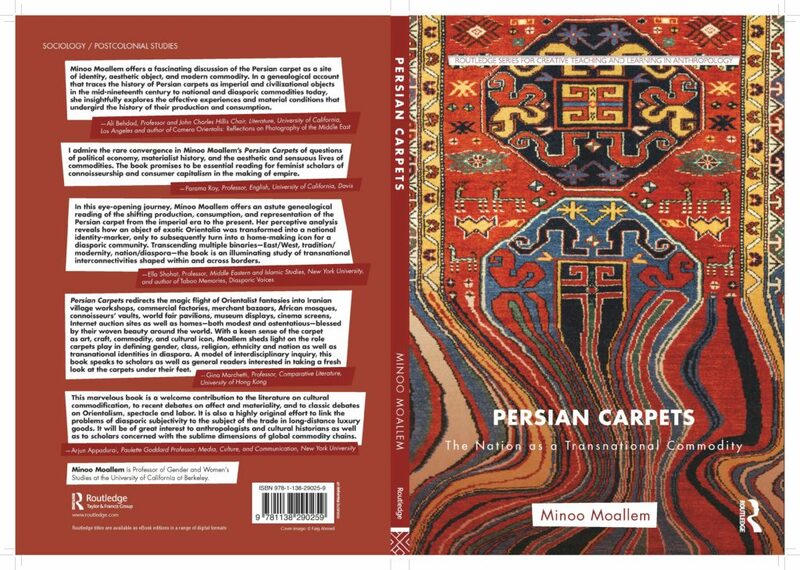 It focuses on the carpet as a commodity which crosses the boundaries of private and public, religious and secular, culture and economy, modern and traditional, home and diaspora, and art and commodity to tell the story of transnational interconnectivity.